Indie developers and their games are very popular these days, but it wasn’t always the case until recently. 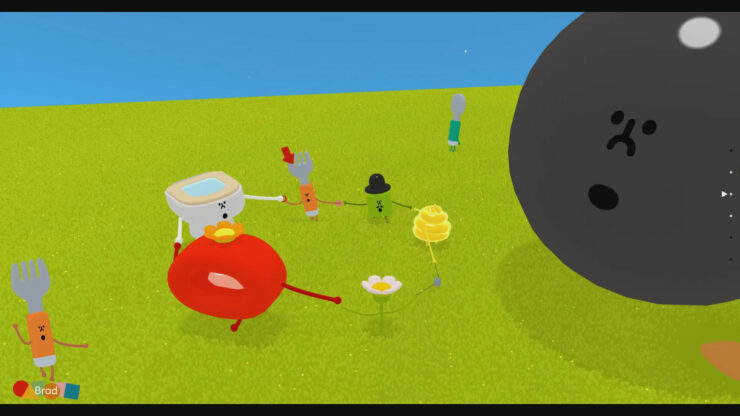 Still, many of the successful indie devs in 2018 point out a particular game as their source of inspiration – 2004’s Katamari Damacy, conceived by Keita Takahashi while he worked at Namco. In a recent interview published in the latest EDGE Magazine (issue 315, February 2018), Takahashi shared his opinion on the growing divide in public opinion between indie games (often viewed in a positive light as the only ones delivering innovation) and the so-called triple-A games (often viewed in a negative light, lately due to various anti-consumer practices). Takahashi said that in the end, this classification doesn’t really matter – games are all about being fun or not. Honestly, I’m still not sure what ‘indie games’ are, or what ‘triple-A’ games are. For more, the more important thing is if it’s fun or not, if it’s great or not. Even if it’s indie, if it’s not fun, then it’s not good, right? Takahashi’s next game, Wattam, is due to release this year for PC (where it already got an official Steam page) and consoles such as PlayStation 4. As usual for the creator of Katamari, its concept is very much unique: the Mayor of the World goes around with a bomb under his hat, for instance. This became a concern for him after recent tragic events, however. I know I was having real concerns about using a bomb, because you know, a bomb is so bad. We still have many terrorists, and bombing is happening still. But this is kind of challenging. We might be able to tell people, what if all the bombs in the world changed into more fun bombs, like fireworks or something? This world would be more peaceful. Wattam is also about appreciating the little things in our lives, Takahashi continued. Another theme for Wattam is respect for our ordinary life. How much we need this stupid, boring table, or this cup, or utensils. It’s boring, but we need it. But people get so used to their existence. It’s a very obvious thing, but very precious. Having life is unbelievable – kind of a miracle. Wattam is about life. I know that Wattam doesn’t have any strong mechanics like Noby Noby Boy or Katamari. But life is about so many small things having an effect. It’s getting very unclear, not so easy to understand – which is bad for commercial games, but for some reason, I’m still trying to make such a game.